At Serrão Rejuvenation Center, we specialize in the most unique facials using only medical-grade products. Dr. John Serrão is a board certified gynecologist who specializes in anti-aging medicine and understands the nuances of obtaining healthy, beautiful skin. His team of experienced medical aestheticians offer facials to women in Orlando, Winter Park, and the surrounding areas of Florida. Our facials help prevent further damage, repair existing conditions, and maintain correction of good skin health. There are many different kinds of facials which target different skin types and skin problems. Every facial begins with a thorough skin analysis and consultation to personally customize the treatment to meet your skin’s needs. Most facials include a deep cleansing with ingredients to purify the pores. Steam with exfoliation remove the top layer of dead skin cells, resulting in a new layer of beautifully glowing skin. Then, facial massage stimulates blood circulation, lymphatic drainage is aided, and collagen is boosted. A customized face masque can tighten, tone, purify, and rejuvenate the skin. Lastly, moisturizing creams and lotions leave skin feeling soft and help renew cells. Through this relaxing process, facials minimize skin blemishes, dry skin, acne and wrinkles. Remember, beautiful skin is possible by making good choices, eating a healthy diet, drinking adequate amounts of water daily, getting enough rest, having a good skin care regimen, and always using sun protection. We are here to help and we care about your skin! Pamper your face with our most luxurious facial experience. This unique treatment includes our exclusive prescription facial paired with the SilkPeel Dermabrasion with Dermal Infusion treatment. Customized specifically to your skins needs and treats a multitude of skin conditions. Our anti-aging facial helps to tone and tighten the skin. This treatment will assist in the repair of fine lines and restore firmness to maturing skin. Our state-of-the-art galvanic/ultrasonic currents enhance the penetration of our natural growth factor and collagen serums to provide higher levels of collagen stimulation, hydration, and rejuvenation. Assists in re-balancing and healing the skin prone to outbreaks. Utilizes enzymes to cleanse excess oils and dilate the pores for easier and more effective extractions. An antibacterial high frequency is used during this treatment designed to penetrate and dissolve debris-clogged pores eliminating bacteria, shrinking pores and reducing inflammation. Inclusive of 15 minutes of BLU-U Light Acne therapy. This antioxidant facial prevents free radical damage and environmental stress. After the customary cleansing and conditioning of your skin with our oxygen-based products, an infusion of a pure oxygen mist will revitalize you from the effects of the environment and stress. Oxygen also has healing and soothing properties to help with skin redness and inflammation. After a deep cleansing, a Vitamin C enzyme peel will be applied to brighten the skin and stimulate your collagen production. Vitamin C is also a great anti-oxidant to fight free radical damage and aids to protect the skin from the environment. Your skin will be healthy and glowing! Your skin will benefit from this active detoxifying treatment designed to penetrate and dissolve debris-clogged pores, killing bacteria and reducing inflammation. While leaving your skin with a smoother surface texture, purified and clear. This is good for all skin types and helps to re-balance the skin. It is also a preventative treatment for blemishes. This popular facial will help to hydrate dry or sensitive skin. A combination of masques and creams containing hyaluronic acid and other nutrients will be infused into layers that will moisturize and plump your thirsty skin, leaving you with a healthy glow. This treatment is beneficial for all skin types using the best ingredients nature has to offer. Enjoy the botanical aromas and smooth textures that promise realistic results and benefits to your skin. This natural treatment will leave skin smooth and refreshed. For the expectant and breastfeeding mother using only “baby –friendly” organic skincare products. 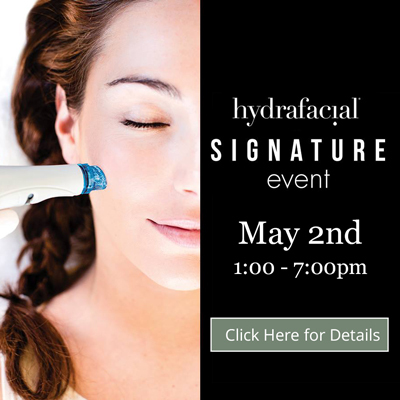 An opportunity to relax and focus on their skin health. Designed to calm, hydrate, and balance the skin due to hormonal fluctuations while keeping comfort in mind. Customized to each individual’s needs and designed to deliver healthier, radiant skin. Includes cleansing, exfoliation, extractions, facial massage, hydration treatment, and sunblock. Your skin is left feeling clean and healthy. Customized to the teen’s unique needs and designed to deliver healthier, radiant skin. Includes cleansing, exfoliation, extractions, facial massage, a customized treatment masque, and sunblock. Your skin is left feeling clean and healthy. This is for the person on the go and is the perfect start to good skin care! Includes cleansing, exfoliation, masque, and sun block. Everything you need to keep your complexion glowing. Because of his many years of experience in the medical field, Dr. Serrão knows the best ways to treat the skin so that you achieve optimum results. All of the providers at Serrão Rejuenation Center are highly trained so that they can inform you about the best facials for your cosmetic goals. Detoxify, cleanse, purify, and hydrate your skin with one of our facials. 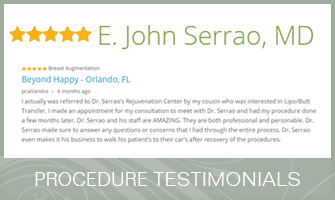 At Serrão Rejuvenation Center, led by Dr. John Serrão, a board certified gynecologist who specializes in anti-aging medicine, our experienced medical aestheticians offer facials for women in Orlando, Winter Park, and the surrounding areas of Florida. Contact us to schedule a consultation and begin your rejuvenation today.